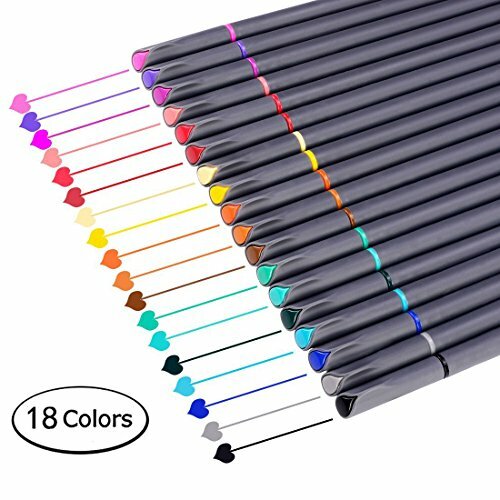 Porous Fineliner Markers 18pc Color Set Fine Tip Drawing Art Pens is currently selling at $8.99, approximately $0.07 higher than average. With a lowest price of $5.99 and an average of $8.92 it is selling on the high end of its usual range. Price volatility is 1.93% (meaning it does not change often), so you might have to wait a while for the price to drop. Right now this product is a recommended 'ok deal'. Compare the current price, savings (in dollars & percent) and Buy Ratings for the top Pens that are closely related to Porous Fineliner Markers 18pc Color Set Fine Tip Drawing Art Pens. Here is how Porous Fineliner Markers 18pc Color Set Fine Tip Drawing Art Pens compares with other leading Pens. FeaturesVIBRANT COLORS Smart Fineliner Color Pens Set 18 Unique Colors, 0.38 mm Fine Point Colored Pens, Assorted Color Fine Tip Marker Pens, DRY SAFE, Minimal Bleed Thru/ Acid-free Ink. Perfect Bullet Journal Pens, Planner Pens, Journaling Pens, School Supplies, Office Supplies,Stationary Supplies, Planner Accessories. Premium gift set for the family, friends, Co-workers, classmate, Christmas, Thanksgiving Day, New Year Present, Birthday.SMOOTH WRITING Colorful Fine tip marker pen set with superfine, metal-clad fine tipped and outstanding performance in all areas of writing, drawing, coloring, easy and comfortable to write. You will also find them great for SCHOOL, COLLEGE, CHURCH, CLUB, and ORGANIZATION ACTIVITIES!GREAT for drawing lines & details, journal, planner, calendar, agenda, note, notebook, note taking, painting, writing, coloring, sketch, marker, signing, manga, animation, graphic, design, illustration, included artists fine-ink drawings and coloring small intricate patterns. Perfect Colored Pens for Panda Planner Passion Planner AT-A-GLANCE Planner Blue Sky 2018-2019 Weekly & Monthly Planner Daily Agenda Redi-Tag Divider Sticky NotesHIGH QUALITY colored art writing drawing porous point pens. 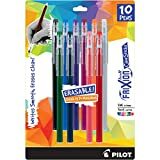 Water-based ink, dry safe, minimal bleed thru (except very thin paper), acid-free /non-toxic Ink, these fiber-tipped pens create fine lines and intense water-based colors. Packaged in a soft transparent vinyl bag.